A new study shows that more than 4,000 Americans died in Puerto Rico as a result of Hurricane Maria last year. More than a third of those were due to a lack of health care due to power outages. 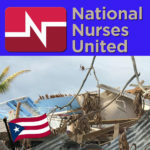 The New England Journal of Medicine calls Hurricane Maria one of the deadliest natural disasters in the United States in a century. A delegation of local government officials from Puerto Rico visited Madison this week. The Mayor of Toa Baja was introduced to the city’s economic planning officials, community organizers, and emergency management. The visit is part of a mayor exchange program initiated by Open Societies Foundation to pair together mayors on the U.S. mainland with mayors in Puerto Rico. Toa Baja’s devastation made national headlines after 24,000 homes were destroyed in the small 90,000 person town. Mayor Bernardo Marquez Garcia’s enthusiasm was palpable in every meeting with Mayor Soglin this week, especially when it came to solar energy. 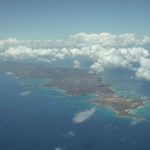 The Toa Baja mayor and his staff were excited by the idea of supplementing the fragile Puerto Rican electric grid with local or household solar panels. 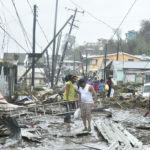 Electricity has been unreliable on the island since Hurricane Maria struck Puerto Rico 9 months ago. According to Toa Baja staff, solar panels could be particularly helpful in mountainous areas of the community where rewiring a downed powerline often comes with delays. The community faces the logistical challenge of getting equipment to the island and having it installed. 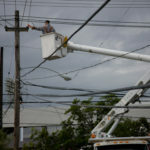 It also faces the political challenge of Puerto Rico’s electricity monopoly, where only one government-owned company runs the entire island’s electric grid. Toa Baja officials met with Parks and other city engineers to discuss everything from the types of solar panels that would work in Puerto Rico, to the grade of roofs in Toa Baja neighborhoods and the angles the solar panels would require. They also discussed different types of batteries that could keep the lights on for up to four days, and refrigerators that can conserve energy to keep medicine and food cold during blackouts. 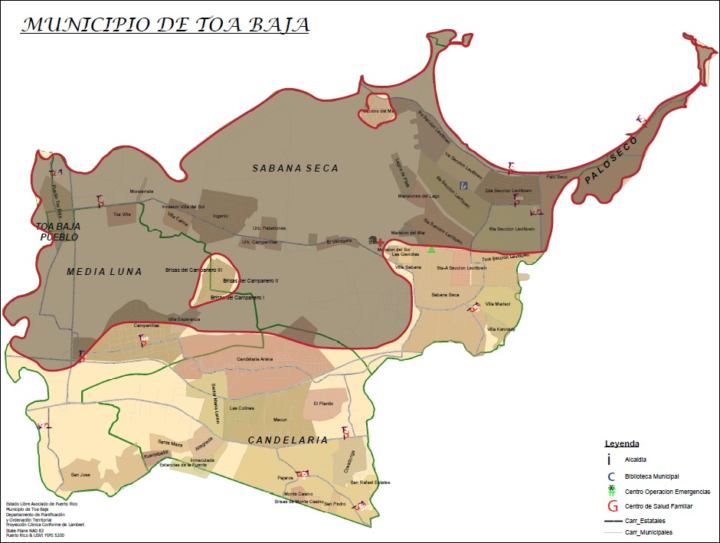 Mayor Bernardo Marquez Garcia’s visit to Madison is a follow up to Mayor Paul Soglin’s visit to Toa Baja back in April. It’s all part of an effort to help Puerto Rican communities recover from Hurricane Maria. Marquez Garcia says he bonded with Soglin over their shared philosophies of putting people first. “In my personal case as the mayor of Toa Baja, it’s been a great pleasure to share with Mayor Soglin, especially because we have a common vision on how to work from the governance point of view and democratic point of view. Both Soglin and Marquez Garcia hope to continue their new partnership and develop more ways to help Puerto Rico in the future.